You’ll find Lapis Lazuli in Chile at almost any artesian stand or jewelry shop. Lapis lazuli is a semi-precious stone with a rich, deep azure blue color. Don’t confuse this stone with turquoise, which has a much lighter blue shade. Lapis lazuli has been prized for thousands of years and was mined as far back as 3,000 BC in what is today Afghanistan. Lapis lazuli is Chile’s national stone and holds a special place in Chilean culture. 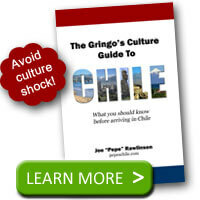 The ancient Incas and other pre-Columbian people mined the stone for thousands of years before the European’s arrival. Why Is Lapis Lazuli in Chile Unique? Although the stone is mined in a handful of locations around the world, large deposits of lapis lazuli are found only in Chile and Afghanistan. Chile’s primary lapis lazuli mine is near Ovalle, Chile, high up in the Andes mountains. Because the mine sits at more than 11,000 feet above sea level, the extreme conditions allow mining only during the summer months. What Is Made from Lapis Lazuli? Lapis lazuli in Chile is typically found in decorative pieces. Because of the beautiful blue color and natural patterns, these stones are typically made into jewelry. Look for necklaces, earrings, pendants, bracelets, and more with the distinctive blue stone. 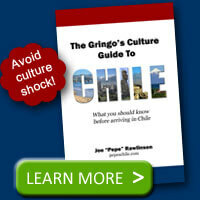 As you shop for Chilean souvenirs, you’ll get bonus points if you find a Chilean symbol carved out of the stone. For example, look for one of the Rapi Nui stone heads from Easter Island carved out of little blue lapis stone. If you see something made from a dark blue stone, it is likely lapis since these types of products are found nearly everywhere a tourist would shop. Because lapis lazuli is mined locally in Chile, you’ll find it cheaper in a Chilean market than when purchased in similar products back home. Discovered this week that the only lapis lazuli mine in Chile is closed and most stones sold now are synthetic. Hi John, thanks for bringing this up. 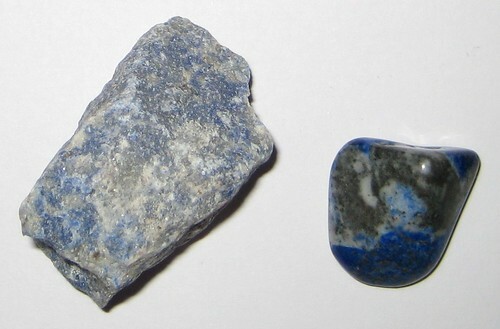 As you mentioned, vendors that rely on lapis lazuli are reporting that they can no longer get the stone from Chile. Is it possible to visit the lapis mine in Ovalle?